How take a loan against mutual fund units? Many a times investors need money on an immediate basis for short tenure like three months to a year. Many a times investors need money on an immediate basis for short tenure like three months to a year. The investor on such times could consider borrowing against mutual fund units. 1. 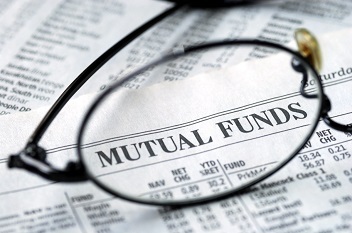 How to avail loan against mutual fund units? Loan against your hybrid or equity mutual fund units can be taken from a bank or from an NBFC by pledging you mutual fund units. You can pay back the loan at the interest rate agreed with the financier. When the units are under lien, you cannot sell or switch the units. 2. How to apply for loan? Some online portals offer loans quickly, if you hold units in demat form and have a prior approval. If you hold units in physical form, you first need to execute a loan agreement with your financier. The financier will write to the mutual fund registrar and ask them to mark a lien on a certain number of units that are being pledged. 3. What happens if investor defaults? In case the investor defaults in making payments the financier can enforce the lien i.e. send a signed request to the Mutual Fund to redeem the units and send the proceeds/cheque to the financier. Loan against mutual funds gives you the option of receiving immediate liquidity against the mutual fund units that you own. It is a beneficial monetary tool for those looking to leverage their idle mutual fund investments and also raise capital quickly for short term financing needs.